Our Big Gig – just 2 weeks to go! It’s less than two weeks until our performance in Victoria Park as part of a local Our Big Gig event – and we can’t wait! Our Big Gig is a community music celebration taking place across the UK throughout the weekend of 11-14th July. 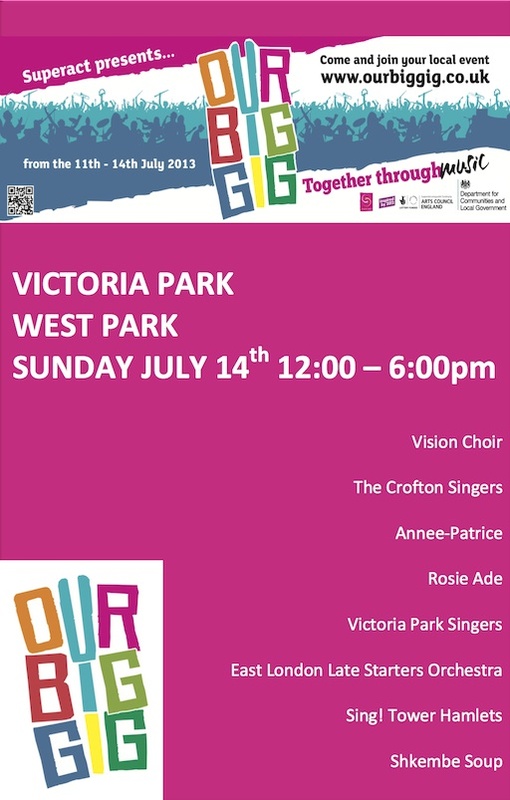 The event in Victoria Park is on Sunday 14th July, and features various local artists, choirs, an orchestra, a dance group… and of course: Sing Tower Hamlets!